I got tired of waiting for someone to go with me and took the boat out alone yesterday for the first time. No big deal actually, rather blissful idyllic weather. Too light for sailing, only spinnakers out. I put celebratory flags up. Just a little victory to get in and out of the slip with zero help and zero drama, and anchor out happily for a few hours in the bay. 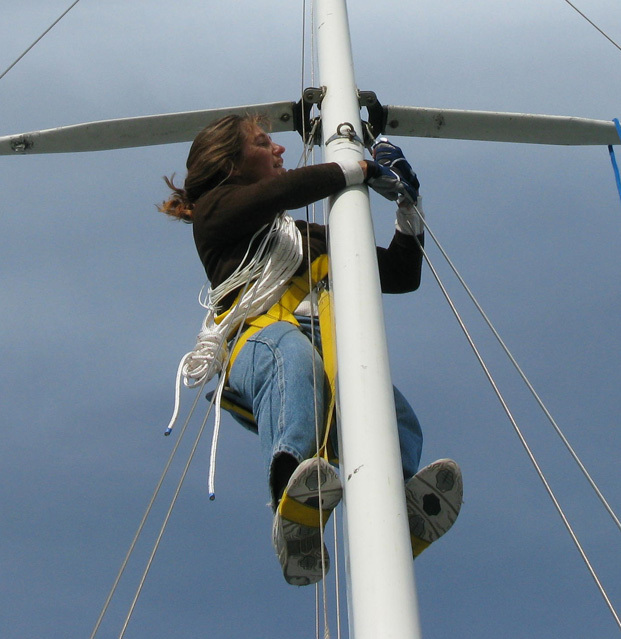 Next challenge is to climb the mast, fix the spreaders, and paint the whole mast. Maybe Wednesday. This entry was posted on Monday, November 2nd, 2009 at 10:15 pm and is filed under Firsts and Trips. You can feed this entry. You can leave a response, or trackback from your own site.